Having just booked a round trip flight from NYC to Milan in March for $260 round trip (wideroe.no was offering bargain prices over the weekend), I've officially begun my hotel search. Since I loved my stay at the Park Hyatt in Paris last spring, the first hotel on my list to check out was the Park Hyatt in Milan. 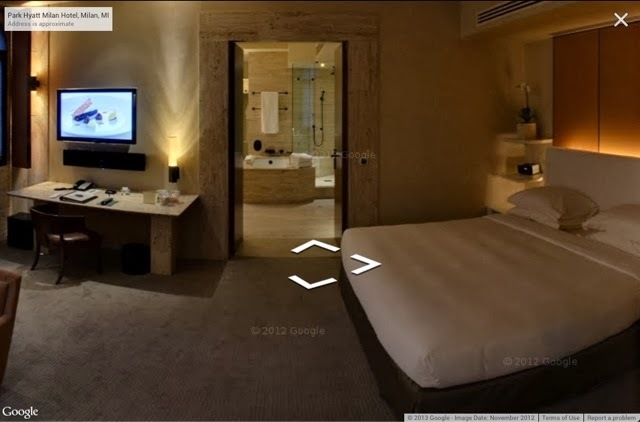 I stumbled across a pretty inside look at the hotel on Google Street View. You can check it out here.